We have one final project to share with you for July. 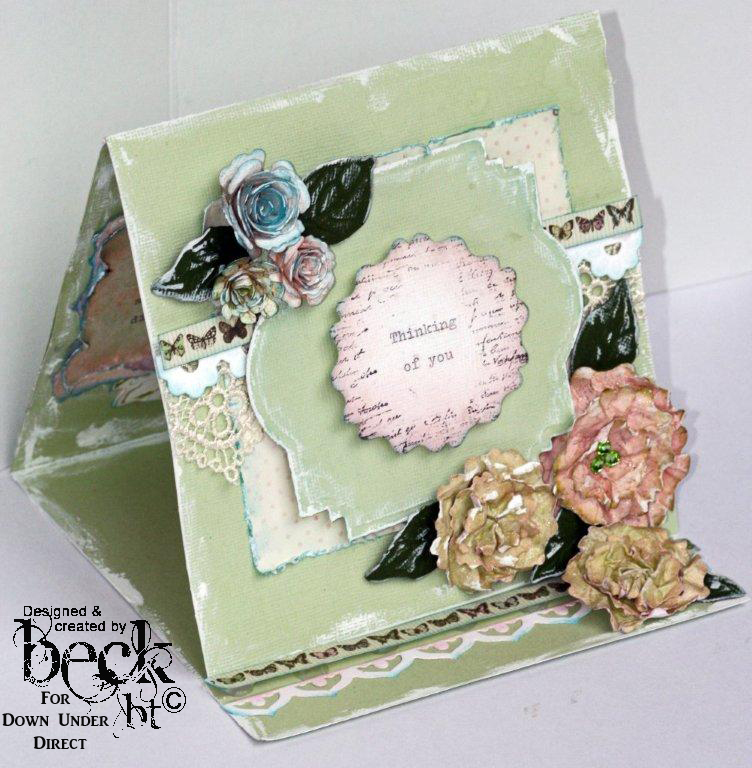 Starting tomorrow we will be showcasing some of the newest Spellbinder dies. Good morning and welcome to Tutorial Tuesday. 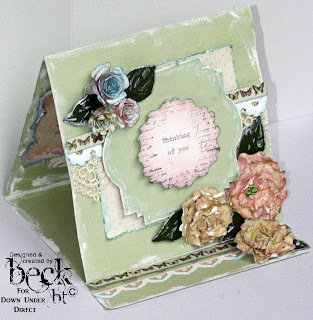 Today Sheree takes us through the steps for using your Spellbinders for masking. 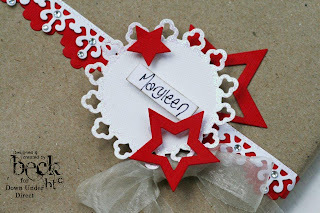 Continue this till you get your desired effect… You don’t just have to use circles for masking just about any spellbinder shape would come in great use for masking as well… instead of ink why not try out some sprays these work fantastic also. 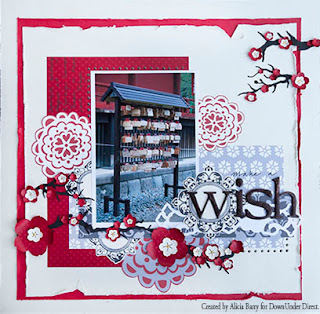 For our second post today we have a layout using one of the new July Spellbinder release dies-Cherry Blossom. For our second post today we once again demonstrate that you don't always need Christmas images or shapes to make a wonderful Christmas card. Welcome to our final day of Christmas in July. I hope that you have enjoyed all the inspiring projects the design team have shared here this week. We'll have two projects to share again today. The first is this charming little treat box. Our second project today is a charming little Christmas Bon Bon created by Sheree. 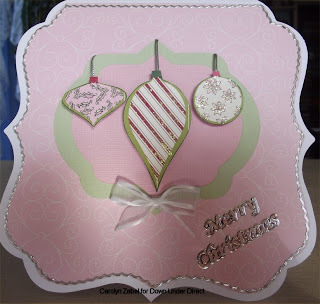 Today we have another example of a Christmas card made with the new JustRite Medallion stamps. 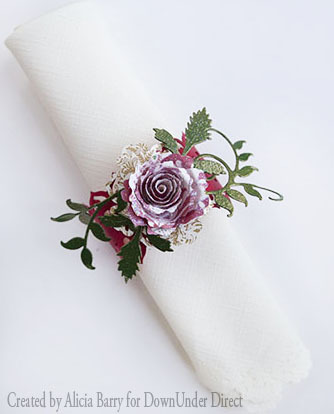 Today we have a lovely napkin ring that would look stunning on the Christmas dinner table. 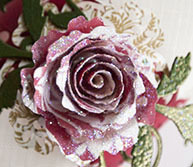 "To make this I joined two edge strips together then mounted a spiral flower into a doily shaped base. The leaves were cut from thin chipboard to make them a little stronger and were then embossed." I love the use of non traditional colours on Christmas cards, and today we have a pretty card made using pink and light green. You will find some lovely non traditional coloured papers in the Bazzill Printed Collection Holiday Style. 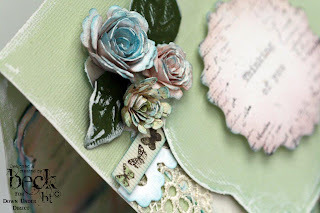 The new Two Scoops cardstock from Bazzill is a lot of fun to use. 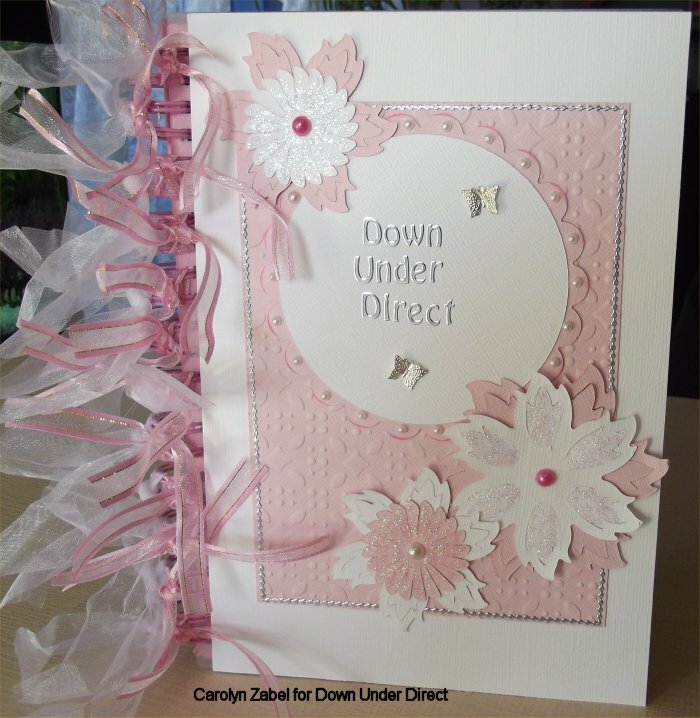 The colour range is fantastic and it can be used as is or sanded using the Bazzil Sander as Sheree has done in this layout. I hope everyone is ready for a little Christmas in July. 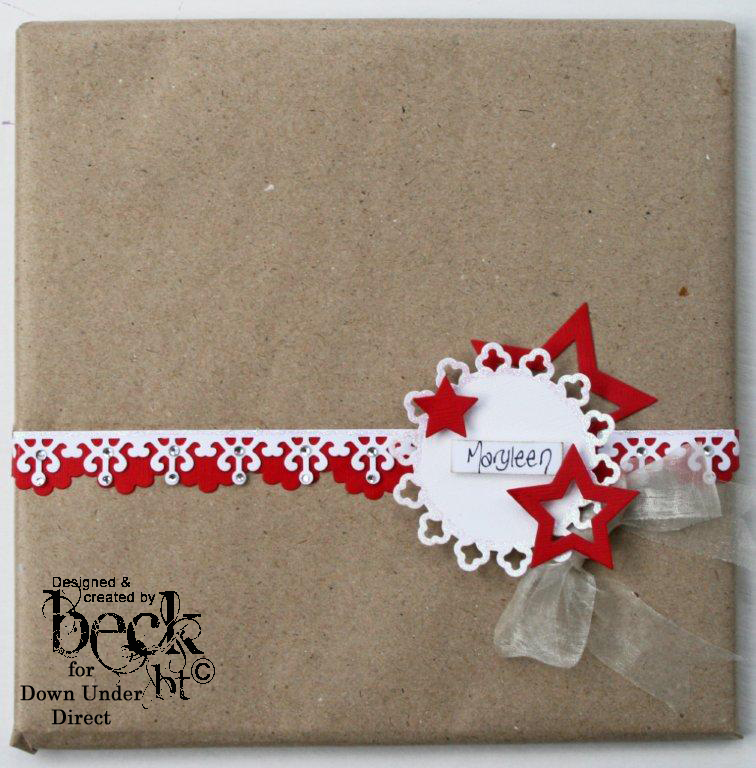 For one week from tomorrow we will be showcasing some fabulous Christmas projects from the Design Team. 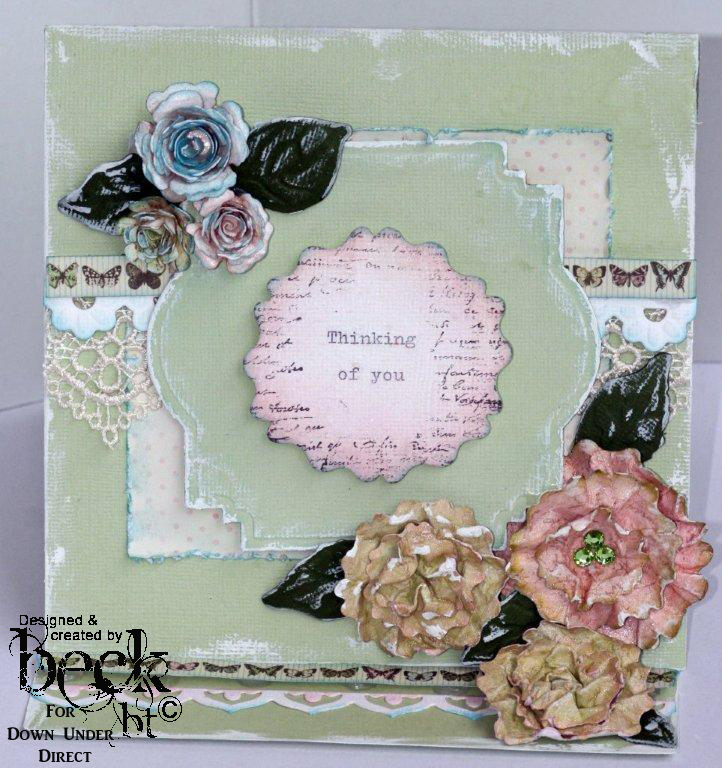 Today we have a sympathy card in lovely soft colours. Hello and welcome to Tutorial Tuesday. Today we have a clever technique using Bazzill, that will add texture and dimension to your layouts. 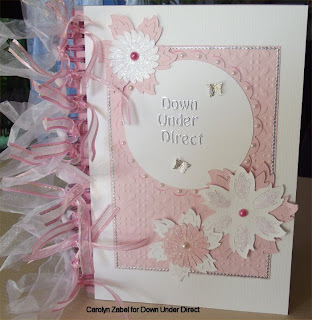 "Bazzill cardstock is strong enough to be wet and shaped, in to wonderful shapes like curtains and banners." Cut cardstock to the approximate shape you need it. Shape the cardstock with your fingers to form pleats and folds, be careful not to overwork the cardstock as it can tear and pill. 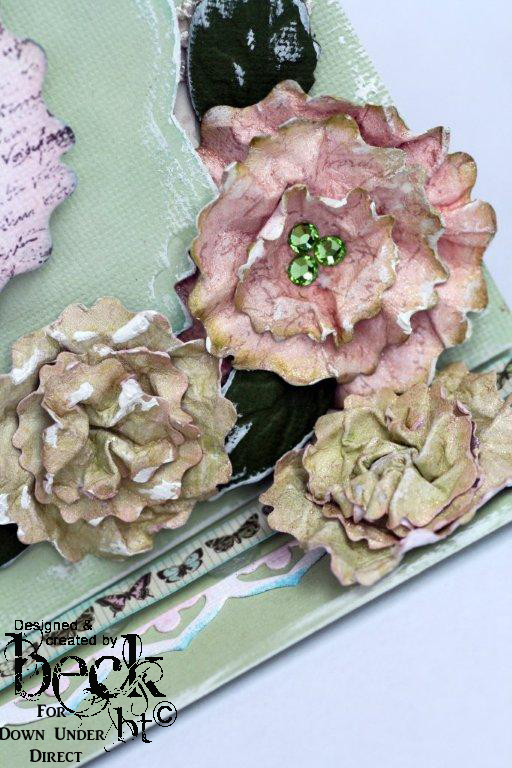 Dry the cardstock while shaped, use your fingers to adjust as it dries.